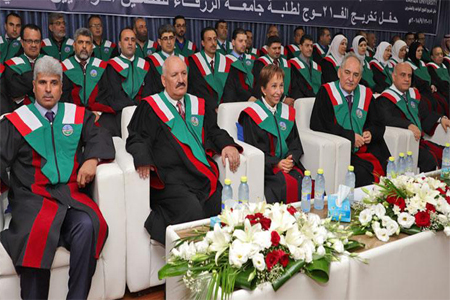 AMMAN — Under the patronage of HRH Princess Basma, Zarqa Private University on Tuesday celebrated the graduation of its 21st class for the second and summer semesters, the Jordan News Agency, Petra, reported. During the ceremony, which included a speech by university president, Bassam Helo, the Princess handed out certificates for the 1,118 students receiving their Bachelor and Masters Degrees, in addition to handing out awards for top students. Zarqa University and The Goodwill Campaign cooperate annually to offer five scholarships through the Doroub Al Elm programme, which targets students suffering financially. The Goodwill Campaign is implemented by the Jordanian Hashemite Fund for Human Development, whose higher committee is headed by Princess Basma.